As I wrote about in September of this year, SharePoint 2016 will no longer contain the Power Pivot Gallery. That functionality would be included in Office Online Server, which wasn’t out yet. Later that month Office Online Server was released, and a lot of the questions regarding how Excel Reporting Services were going to be made available were known. For those of you unfamiliar with the Office Online Server, it isn’t a new product. It was released as Office Web Apps Server in 2012, and was designed to support creating and editing Office documents without having to load the applications to desktops. The server provides the capability for Office documents to be run via a browser, decreasing the need to update desktops. Most people continued to load office to workstations anyway. Microsoft continued to pound away at the application, which is meant to be the location to go to view Office Applications. Fast forward to 2016, and Microsoft decided that Office Online Server would be the place to go to view all Office documents, meaning they were removing Excel Services from SharePoint, as they already had a product that would do that. Another preview of Office Online Server was released last week, meaning a lot of the details of how Excel Services will work is now known, and you can download Office Online Server yourself to try it out. 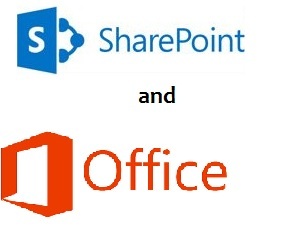 Office Online Server is a completely separate application from SharePoint, and as a matter of fact it should not share space on a server with SharePoint installed. SharePoint 2016 is designed to work with the Office Online Server, so it will support viewing Excel documents. You will need to establish a trust relationship between the two servers to authenticate them via certificates, which is a lot easier than setting up Kerberos. Of course you can also set up SharePoint to view SQL Server Reporting Services reports as well so you can store all of your reports in one place. If your organization is looking to upgrade their versions of SharePoint 2016 and you want to view Excel Reports, go requisition another server for installing Office Online Server as you will need it to support viewing Excel or any other Office Document. SharePoint 2016 has been streamlined to manage files and their content, and is pushing other features to other products. One of the reasons for this is SharePoint has been modified to support content whether it be onsite or on the cloud. As part of Microsoft’s new realization that there are some people who aren’t going cloud, it merges some of the SharePoint Online functionality into the new release and is working on providing better support for SharePoint in the future. So go ahead and upgrade to the latest SharePoint. You will still be able to access everything in Excel, not through SharePoint, with Office Online Server.